Determined to take another, more successful, stab at apparel manufacturing, Dov Charney is determined to rebuild an empire – once again in Los Angeles. With a business model that focuses on producing high-quality clothing, paying a fair market-wage, all while earning a profit. Charney made it clear during his Feb. 2nd talk, attended by over 100 people, that he doesn’t plan vary his model from when he started American Apparel in the late 90s. Ever the creative mind, he intends to run his new company “by the seat of his pants”. After an unsuccessful attempt to buy back American Apparel from the very executives who showed him the door, the company refused his offer. After two bankruptcies American Apparel, one of the largest manufacturers and sellers based in the US had to close its doors. Gildan Activewear, a client of FDM4, heard the call and is in the process of purchasing the brand for $88 million. This acquisition will benefit not only the company, but also some of the 3,400 workers who lost their jobs when American Apparel closed their doors. Charney, amazed at the nearly $100 million dollar purchase hopes to recreate that value with his new brand. Having purchased a new facility in South Central, Charney already has approximately 100 sewing workers making blank t-shirts. He is wholesaling to other businesses – mostly screen printers and other companies within the apparel and fashion industry. He is seeking to grow his business through asset-based loans secured by orders – thus keeping a more secure control on his company – and by hiring creative people who share his vision. Charney speaks highly of the city in which he has chosen to establish his new enterprise. 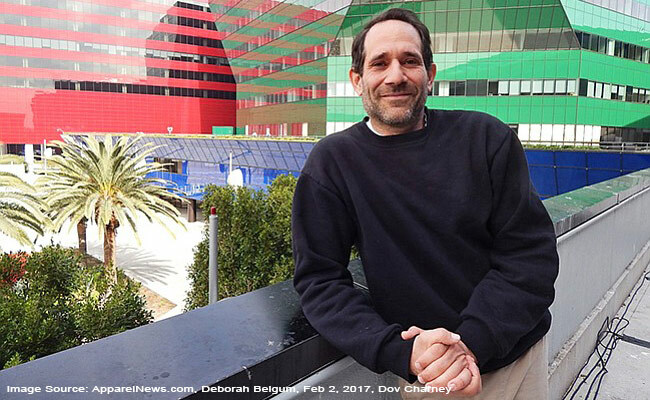 From its artistry to its proximity to Asia – Charney thrives in chaos, and Los Angeles, according to the eccentric entrepreneur, has everything he needs to build another thriving business. Seeking to change the world “one t-shirt at a time”, we can’t wait to see what comes out of Los Angeles Apparel.